warning: This product contains nicotine. Nicotine is an addictive chemical. products for 18+ only. 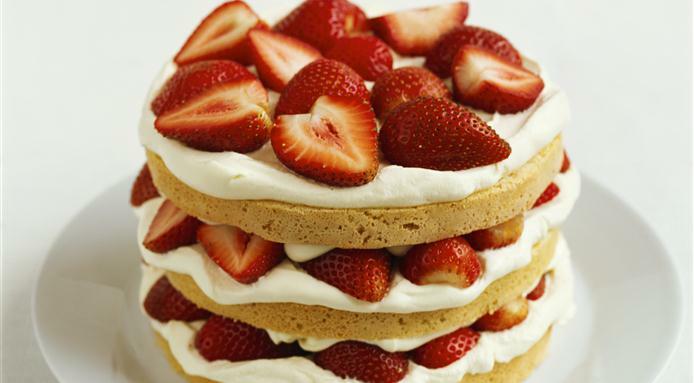 Is there any dessert that we crave during the warm summer season more than strawberry shortcake? Those seasonal berries taste so delicious when they’re poured over a freshly baked shortcake and topped with puffs of fluffy whipped cream. The only problem with strawberry shortcake is that it’s not something that we can really eat daily. 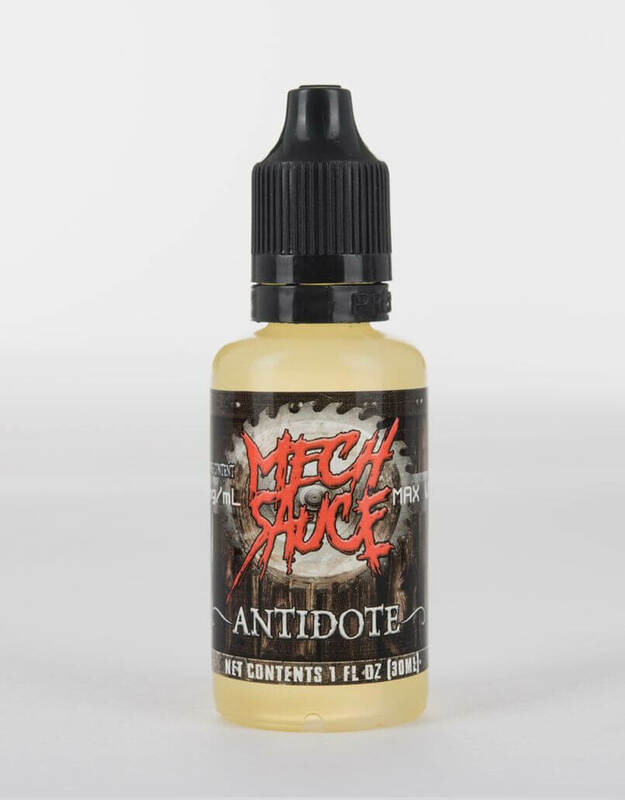 Luckily, Mech Sauce has given us Antidote vape juice, a perfect tribute to strawberry shortcake. You can get your fix for hours at a time without consuming any calories. Simply put, this e-liquid is outstandingly delicious. You’ll find yourself keeping it in rotation long after summer has ended. Antidote from Mech Sauce consists of a savory shortcake, juicy strawberries and smooth whipped cream. If your mouth is watering right now, this vape juice is a must-have. The inhale satisfies with the tangy and bright taste of exquisitely ripe, remarkably juicy strawberries. As the sweetness of the strawberries becomes more prominent, you’ll taste that fluffy shortcake that has notes of butter. Meanwhile, the juiciness of the strawberries soaks into your tongue, refreshing you on those ridiculously hot days. With each exhale, whipped cream drapes the taste buds with its sweet and rich flavor that never fails to make you smile. Antidote e-liquid comes in both 30 ml and 120 ml bottle sizes. When you place your order, you can select from a wide variety of nicotine strengths and VG/PG mixes. Like all our vape juices, this one is manufactured in the United States. Each ingredient is carefully sourced from a domestic company to ensure maximum quality. All the flavoring extracts contain natural ingredients that guarantee an authentic taste that you’ll want to hit all day long. Now that the sunny, warm days of summer have arrived, it’s time to indulge in our favorite seasonal dessert without experiencing any guilt. Antidote is the perfect vape remedy for your dessert cravings as it will provide you with serious satisfaction and none of the sugar.